Emergency Preparedness | Home Wise! Family Smart! 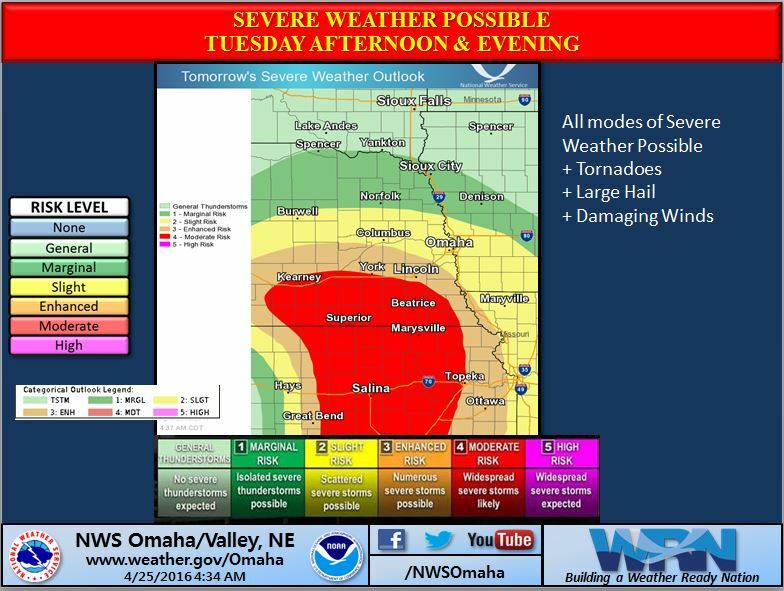 Severe Weather Preparedness – Start Today! The best time to prepare for a storm is before it happens. Storms may be severe across parts of the nation on Tuesday, April 26 and Wednesday, April 27 (map). Know the difference between a “Watch” or a “Warning” – Be Weather Aware! What can you do? Prepare and/or restock your family emergency kits . Don’t forget pets and consider what steps you’ll take for livestock and large animals. Review your safe-place plans with family. Make sure flashlights are working, grab extra batteries and get out the weather alert radio. Keep your cell phone charged – during an emergency, you may not be able to make a cell phone call but you might be able to text. University of Nebraska-Lincoln posted quick tips this morning to help us all navigate ice and snow. I chuckled a bit when I watched the video because my kids already tell me I waddle a little – guess I’m doing it right! This video is only 1 minute long. Stay safe this winter and remember to “walk like a penguin”! Tip: Include a substantial-sized bright red piece of material, flag or fabric in your vehicle’s winter emergency kit. If you are stranded in deep snow, or in a snowstorm/blizzard with limited visibility, emergency personnel will have an easier time finding you. Tie the fabric to your antenna. If you are unable to attach to an antenna, make sure you do whatever you can to make the cloth visible even if you have to drape out the vehicle’s window.